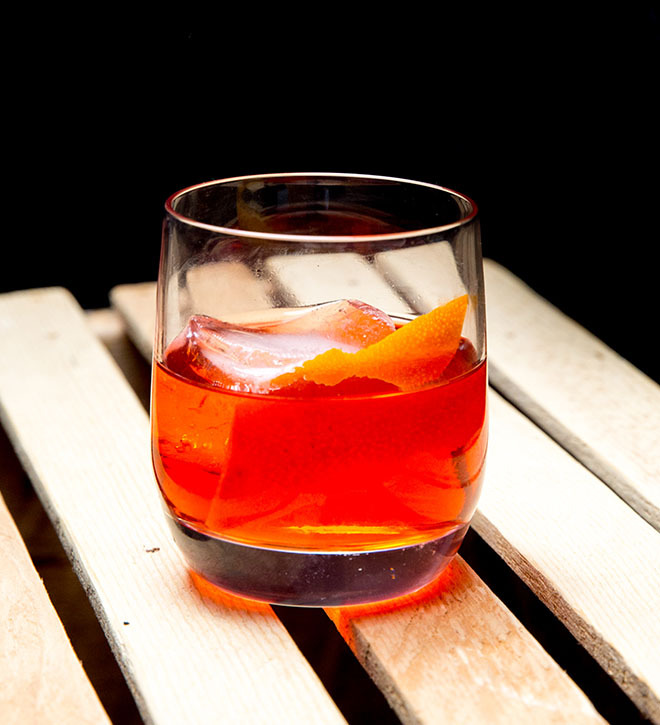 Replace rye whiskey with Tom Cat Gin in this adaptation of the classic Manhattan Cocktail. In a mixing glass add Tom Cat, Vermouth, and bitters. Add ice and stir 50 revolution. Strain into a glass. Add garnish.